In a fantastic one of a kind promotion, Royal Panda is offering you the chance of playing online casino games with up to 600 free spins! On any day between the 1st April 2019 until the 30th April 2019, make a deposit if just €£$ 25 before midnight and get 20 free spins the next day! The promotion is open to any citizen from the following countries: Aruba, Austria, Bonaire, Brazil, Canada, Chile, Curaçao , Finland, Germany, Iceland, India, Ireland, Isle of Man, Japan, Luxembourg, Malta, Monaco, New Zealand, Norway, Peru, Sint Eustatius, Sint Maarten, South Africa, Switzerland and the United Kingdom. There are a maximum allowed spins of 600 per person for the month of April 2019 and a daily deposit of €£$ 25 is required to trigger the promotion. The free spins expire after 7 days and the maximum bet permitted is £ 7.50, € 7.00 and $ 5.00, or the equivalent in other currencies. Free spins may not be exchanged for cash and range from 5c to 25c per spin. Throughout the month of April, your free spins can be used on the following slot games, which become available as the month progresses: Book of Oz, Fortunium, Ancient Fortunes: Zeus, Immortal Romance, Game of Thrones, Zombie Hoard, Rainbrew, Adelia the Fortune Wielder, Rockabilly Wolves, Agent Jane Blond Returns and Arctic Valor. 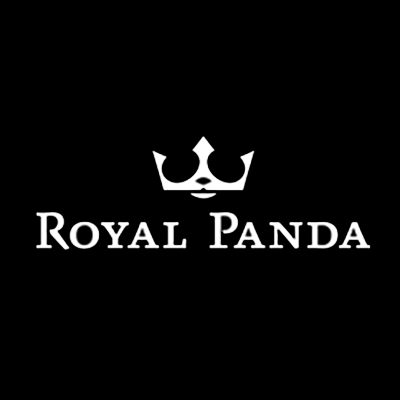 Although a relatively new online casino established in 2014, Royal Panda has very quickly become a firm favourite with casino enthusiasts the world over. 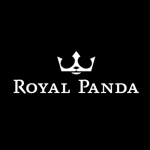 Royal Panda knows that to keep a client happy and satisfied, they need to offer four things, a large variety of fast loading excellent quality games created by the best software developers in the business, top notch security, a wide variety of payment methods and an easy to reach, friendly and efficient customer services team. Hosted by a lovable Panda born into royalty, this online casino ticks all the right boxes and excels in every area! There are over 600 different casino games that can be played from your desktop, or on the go with your tablet or mobile device! In addition to the over 500 top quality slot games, there are also 25 Progressive Jackpot slots, 22 Roulette games, 44 Blackjack, 12 video Poker, 4 scratch card games, 8 arcade games and 26 other table games, such as Baccarat, Punto Banco and Caribbean Stud Poker. Royal Panda’s mobile casino is made up of over 170 casino games including slots, Blackjack and a live casino powered by Evolution Gaming. A casino experience second to none is made possible by software giants Microgaming, Evolution Gaming, NetEnt, NextGen Gaming, 1x2Gaming, Aristocrat, Genesis Gaming, Rabcat, Thunderkick, Elk Studios and other popular software platforms. When you’re ready to make your deposit, you have at your disposal a very wide variety of depositing and withdrawal methods. Royal Panda offers their clients the option of using credit and debit cards, VISA and Mastercard, eWallets and Virtual top up cards including: Fast Bank transfer, Skrill (Moneybookers), ClickandBuy, Neteller, Przelewy24, Paysafecard, iDEAL, Ukash, Sofortuberwaisung, Boleto, eKonto, Lobanet, DineroMail, Todito Cash, Skrill, AstroPay Card, AGMO, TrustPay, AstroPay Direct, Safe2pay, Baloto, eWire, GiroPay, Gluepay, Nordea, PayU, eCard and Billingpartner. The currencies available at Royal Panda include the Brazilian Real, Czech Republic Korunas, European Euro, British pound sterling, Indian Rupee, Mexican Peso, New Zealand Dollar, Polish Zloty, Swedish Kronor and the US Dollar. As with every online casino, the Terms and Conditions need to be carefully read and we recommend you give them your full attention. Regarding wagering requirements, Royal Panda has a very reasonable 35-times wagering requirement which must be met in 90 days. Wagering can be fulfilled 100% on classic slots and video slots, scratch cards and softgames like Bingo and Keno. Table games, Video Poker and Live Dealer games contribute 10% towards meeting your wagering requirements. Play with absolute confidence at Royal Panda as this site is licensed by both the UK Gambling Commission and the Malta Gaming Authority. The casino is also certified by independent company eCOGRA who ensures the games are fair for all and their site is fully protected with 256-bit encryption. Register today, make your deposit and take part in the April madness month, there’s up to 600 free spins for grabs and at 20 free spins per day, your gambling adventure will take on new dimensions!